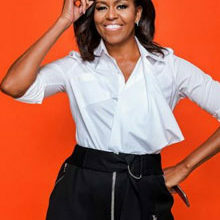 Michelle Obama is as renowned for her role as First Lady as she is for her impeccable fashion sense. 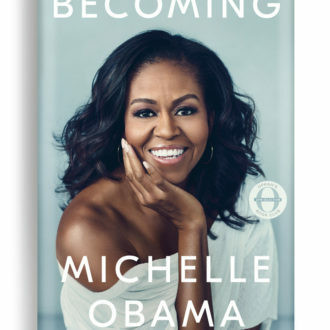 With a new family entering the White House, we thought we’d look back at 4 of our favourite Michelle style moments. We’ve also put all of the details for tonight’s election broadcast below so that you don’t miss a minute of the action. 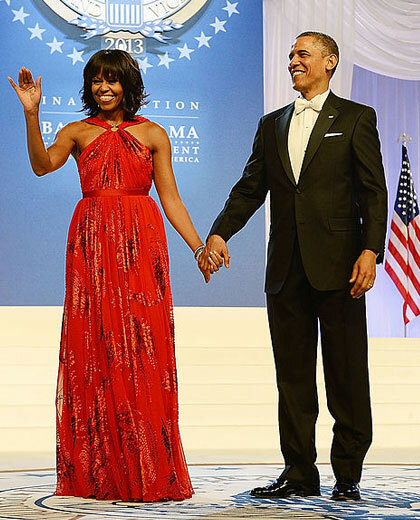 Michelle wore this beautiful red Jason Wu dress for The Inaugural Ball at the Walter E. Washington Convention in 2013. 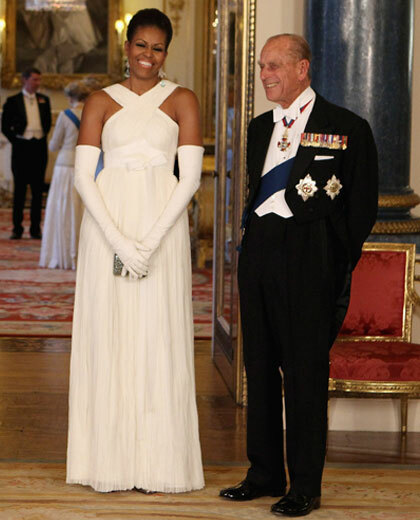 Queen Elizabeth II, U.S. President Barack Obama, Michelle and Prince Philip, Duke of Edinburgh pose in the Music Room of Buckingham Palace ahead of a State Banquet in London in 2011 in London, England. Here Michelle wears a gorgeous Tom Ford gown. 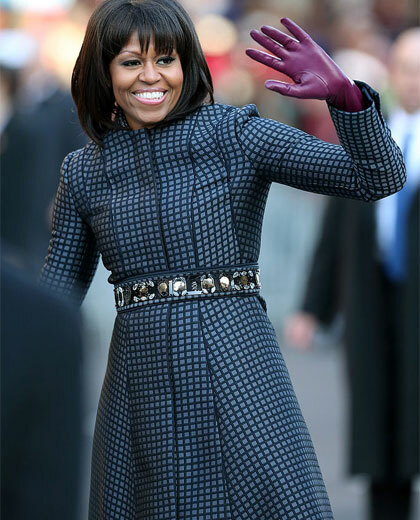 Here Michelle paired a pretty J Crew belt with a stunning coat and purple gloves for the presidential inaugural parade in 2013. OUR FAVOURITE LOOK: We love this Atelier Versace dress, that Michelle wore when meeting Italian Prime Minister Matteo Renzi and Agnese Landini last year. Pictures: Getting Images. You can catch Donald Trump’s inauguration live on BBC World News (Channel 400 on DStv) at 5pm, or CNN (Channel 401 on DStv) from 4pm. Most news sites have live streams throughout the day.